Kid’s Academy was born out of a passion for child care. Owner Julie Coe and her sister Christi opened our child development center in 2001 with a mission to help families and working parents in Kyle and Buda, TX areas care for their young ones. Julie and Christie devoted their time, talents, and passion for creating a learning center that offers a safe, warm, and nurturing environment that is conducive to children’s learning. Today, our child development center is the top choice for comprehensive infant care and preschool programs in the area. If you would like to become a member of our staff, complete the attached application and send it to the center. Our child development center offers high-quality infant care and pre-K programs that are geared toward the individual growth of the children in our care. Our services are designed to cover both the children’s daily basic and early education needs. If you wish to know more about our learning programs, browse through this site or call our office today! We would love to hear from you. 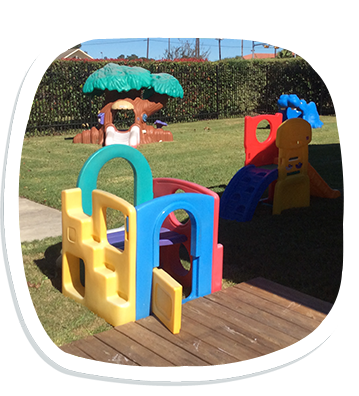 Why Choose Our Child Development Center? Julie has a B.S. degree in Human Ecology from the Ohio State University. She was previously working in the corporate world before venturing into child care management in 2001. Julie’s number 1 job is being a parent to her beautiful daughter. Dani Simmons is our licensed Director at Kid's Academy. Ms. Dani joined Kid's Academy in August 2008 as our summer camp/after-school teacher. She was then moved into our infant room as the Lead Teacher where she remained for several years. In May 2013, she was promoted to Assistant Director. It was during this time she began the certification process to become Director. In March 2014, Ms. Dani was promoted to Director. Ms. Dani has proven to be a valuable asset to Kid's Academy. She has an excellent relationship with parents and children. She has an open door policy and welcomes families to talk with her. She does a great job with running the day to day operations of the center while juggling many responsibilities. Not only is she experienced in the many facets of running a daycare, but she is a pro with children too. She is a mom of 3 adorable kids from infant to 8 years old and she had all her babies while working with us! We are honored and proud to have such an outstanding, dedicated Director running the center. Kid’s Academy is staffed with child care professionals and teachers that continuously attend educational training throughout the year and are CPR/First Aid Certified. When you entrust your children to our care, we guarantee that they are in the hands of qualified and caring professionals. If you are a child care professional who shares the same passion for caring for children, we would love to have you on board! Be part of our growing team. To get started, please send your resume to info@kidsacademycdc.com.